Would you dress like this in the office? As the end of the year approaches, it’s common in a number of offices to reflect on what went well and what didn’t go so well in the year just gone. The bosses of the Australian Tax service will have an interesting bit of reflecting to do. Some of the 23,000 Australian tax office workers were reportedly sent a memo by taxation service delivery chief Robert Ravanello telling them that there were too many “street casual outfits” being worn and too much “bare flesh” was on display. Mr Ravenello told his staff that some of them were “dressing too casually or immodestly, therefore impacting on the perceptions of the professionalism of the Australian Tax Office (ATO)”. He went on to say that items of clothing including thongs, board shorts and revealing attire were inappropriate for the ATO workplace. Now before some of you get alarmed that people are walking around in thongs in the tax office it’s worth pointing out that in Australia the word “thongs” refers to flip-flops (sandals) and not underwear. While some people would argue it doesn’t matter what you wear in the office of long as you can do your job properly and that tax is exciting enough without all this showing off of “bare flesh”, I guess the key message is that you should dress professionally and appropriately for wherever you work. All of this is interesting but if you are like me and are based in Europe where its currently winter I think it’s unlikely I’ll be walking around in board shorts, showing off bare flesh and looking out the office window in my thongs (whether they are on my feet or around my waist). 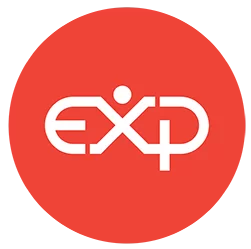 The team here at ExP are now heading off on our Christmas break and so on behalf of everyone here at ExP I’d like to thank all of you that read our blog and especially those of you that have got in touch with your kind words and comments. Thank you also if you’re one of our 125,000 Facebook fans and have a great festive season and we’ll be back blogging in January 2015.
https://www.theexpgroup.com/wp-content/uploads/2018/06/styleguide-EXP-4.png 0 0 Steve Crossman https://www.theexpgroup.com/wp-content/uploads/2018/06/styleguide-EXP-4.png Steve Crossman2014-12-18 18:32:182014-12-18 18:32:18Would you dress like this in the office? It’s the little things that count but was this woman nuts? There’s a saying that if you look after the little things, the big things look after themselves. Personally I’m not so sure about this as arguably it’s more important to get the big things right. Using business terminology, Critical Success Factors are (wait for it …..) factors which are critical for the success of an organisation (probably not the most detailed definition of a Critical Success Factor (CSF) you’ve ever heard but on the positive side it is easy to remember). An airline for example could have CSFs such as safe flights, in demand routes, on-time flights, etc. CSF are measured using KPI’s (Key Performance Indicators). KPIs are monitored for each CSF and if they fall below a set figure it could mean there is a potential problem which would need to be investigated – eg if the KPI for on-time flights falls below say 95% it would need investigating. There was an interesting situation at Korean Air recently. Cho Hyun-ah was vice president of the Korean national airline and was on board a Korean Air plane sat in the first-class section. As the plane taxied for take-off she was served some macadamia nuts without being asked whether she wanted any. The nuts were also served in a paper bag rather than on a plate. Ms Cho was responsible for cabin service for the whole airline and when she saw this breach of in-flight service etiquette (apparently the nuts should be served on a plate in Korean air’s first-class cabin) she reportedly screamed at the flight attendant who served the nuts. Some people may argue that attention to detail is very important in areas such as first-class travel but the manner in which he dealt with it leaves a lot to be desired. Rather than reprimand the flight attendant who made the mistake in private she insisted that the plane return to the terminal so that the flight attendant who served the nuts could be removed from the flight! So, which do you think is going to be more helpful for the success of the airline – disciplining an employee by removing him from the plane or delaying the flight for 300 people together with the associated bad press the airline has received? Ms Cho has no doubt realised her mistake and she has now resigned from her position as vice president of Korean air. In hindsight, the decision to order the plane back was a Critical Failure Factor in her career. https://www.theexpgroup.com/wp-content/uploads/2018/06/styleguide-EXP-4.png 0 0 Steve Crossman https://www.theexpgroup.com/wp-content/uploads/2018/06/styleguide-EXP-4.png Steve Crossman2014-12-15 19:45:152014-12-15 19:45:15It's the little things that count but was this woman nuts? How much does a Big 4 partner earn? Different types of organisations have different rules regarding the disclosure of pay details of senior executives. If you are a director of a quoted company in the UK, details of your remuneration package must be shown in the published annual report. If you’re a partner in a professional services firm on the other hand then there isn’t such a disclosure requirement. A recent report called Cheques and the City (a great play on names and would sound familiar to those of you who are fans of the American television sitcom starring Sarah Jessica Parker) by the High Pay Centre has provided more information about the leading Accounting and Law firms in the UK. – approximately 1,400 of the 4,500 equity partners from the Big 4 and the 5 leading law firms were paid over £1m in the UK last year (there are roughly 11,000 people in the UK with incomes of more than £1m so this means that 13% of the individuals in the UK with income greater than £1m were from the top accounting and law firms). – The senior partners at PwC, Deloitte and KPMG were each paid £3.6m, £2.7m and £2.4m respectively last year (there was no news on how much the senior partner of EY received last year but I think it’s safe to say he should have enough money to buy a coffee on the way to the office). – The Big 4 are responsible for auditing 99% of the FTSE 100 and 96% of the FTSE 350 (the largest 100 and 350 quoted companies in the UK). For those of you good with figures you’ll notice from the above table that KPMG is far ahead of the others in terms of the proportion of consulting work they undertake compared to audit and tax work (more than 50% of KPMG’s revenue was from consulting compared to just over 20% at PwC). The Cheques and the City report can be found here. https://www.theexpgroup.com/wp-content/uploads/2018/06/styleguide-EXP-4.png 0 0 Steve Crossman https://www.theexpgroup.com/wp-content/uploads/2018/06/styleguide-EXP-4.png Steve Crossman2014-12-11 15:55:532014-12-11 15:55:53How much does a Big 4 partner earn? Would you wear the same suit for a year? Whilst many countries are making positive strides in terms of removing discrimination between men and women there are still areas where there are big differences. Whilst differences in pay often make the headlines there was an interesting illustration recently of a form of discrimination that doesn’t often make the news. Karl Stefanovic, an Australian TV presenter, wore the same suit for a year and nobody noticed. Mr Stefanovic (or Mr stinky as he probably became known to his colleagues) said he did it to highlight the different pressures that women face over men and I have to admit he’s made a good point. Whilst no one noticed the man wearing the same suit for a year what would the reaction have been if a female presenter had worn the same outfit for a year? I’m sure the newspapers would have been full of criticism and the producers of the programme would have told her to wear different outfits. It’s not all bad news to ladies though as a report recently released showed that women are much more likely to get helped if they wear high heels. Research by French Professor Nicholas Gueguen found that only 25 men out of 60 stopped to help a woman who was undertaking research in the street and was wearing flat shoes compared to 49 out of 60 when the lady was wearing 4 inch heels. Whilst nothing was mentioned about the length of skirt worn during the two parts of the experiment, it does appear to indicate that women are likely to get more help around the office if they wear high heels. I am all in favour of equal rights in the workplace as it benefits both the company (through having access to the full range of human capital) and the individual but if I’m honest I think the smell would be unpleasant if a man or woman wore the same outfit for a year. Also, as a man I’d be concerned that walking back from the coffee machine in my high heels could result in a nasty accident in the office due to stability issues. https://www.theexpgroup.com/wp-content/uploads/2014/12/bad-smell-in-the-office.png 944 1678 Steve Crossman https://www.theexpgroup.com/wp-content/uploads/2018/06/styleguide-EXP-4.png Steve Crossman2014-12-05 12:39:302018-11-07 20:52:53Would you wear the same suit for a year? Professional exams are tough. It’s not easy passing them but to be honest they should be difficult as if they are too easy then everybody could become a Chartered Accountant and the value of the qualification would be downgraded. That’s easy for me to say now that I’m qualified but in the run-up to my exams I can vividly remember wishing they were a lot easier! It’s important in the final run-up to the exam to remain focused and concentrate on practicing exam standard questions. There’s a lot of pressure when it comes to sitting professional exams. All your hard work is compressed into a few hours where you try to prove to the markers that you know what you’re talking about. We’ve just released our December 2014 ACCA exam tips and whilst it’s only the examiners who know what’s in the exams, our tips show areas of the syllabus that we would pay particular attention to if we were sitting the exams ourselves. Our ACCA exam tips are below but one thing you should definitely do during the exam is to remain calm. Whilst some of the topics in a number of the exams can be relatively predictable, there will always be surprises that can crop up. The gentleman in the video below showed a remarkable level of calmness even though there were early signs that things were starting to go wrong. Let’s just hope that nothing like this happens to you in your exams and that you can remain as composed as the interviewer. If you’re after any last-minute exam tips for the ACCA exams then here are our December 2014 ACCA exam tips (follow the link, choose the paper you are interested in and the exam tips can be downloaded on the right hand side of the page). This is one way to keep busy as you get older. Whilst most 79-year-olds would be happy falling asleep in front of the TV or annoying the grandchildren by repeating stories they’ve told 100 times before, Leonardo Del Vecchio has other things on his mind. 50 years ago he founded Luxottia. Who? I hear you say. Whilst most of you probably haven’t heard of Luxottia I’m sure that lots of you know their products. The company is a leading eye wear company and makes sunglasses including Rayban and Oakley brands. Things haven’t been going smoothly for the company recently though. Whilst the company has had some great financial results with sales reaching £5.8 billion last year, they are suffering some classic problems which face quoted companies whose founding family members have maintained significant shareholdings. A couple of months ago, Andrea Guerra, the CEO resigned due to reported disagreements with Mr Del Vecchio over Mr Del Vecchio’s plans to resume a more active role in the company. There are now further issues with the 79 -year-old announcing his plans to hand his shares to his six children and for them to have more of a role in the running of the company. The end result is that the new CEO who replaced the previous CEO only a couple of months ago has also resigned. So, in summary, not a typical 79-year-old. Losing two CEOs in a couple of months and handing the family business to your six children. Oh, and did I mention the reports that his wife is looking for a 25% shareholding which would need to come from the children’s shares. Now, where are those slippers and the TV controller? https://www.theexpgroup.com/wp-content/uploads/2018/06/styleguide-EXP-4.png 0 0 Steve Crossman https://www.theexpgroup.com/wp-content/uploads/2018/06/styleguide-EXP-4.png Steve Crossman2014-11-21 00:34:472014-11-21 00:34:47This is one way to keep busy as you get older. Will you meet your future partner at a segmentation event? Online dating sites are big business. Years ago you would more than likely have met your future partner face to face at some social event whereas nowadays there is a high chance that you’ll meet your future husband or wife on the internet. womenbehindbars.com – where you can meet women that are currently in jail (this has the added advantage of not having to pay for an expensive meal on your first date). One particular dating site in America called Positive Singles has been in the news for the wrong reasons recently. The market segment that it is aiming for is people who have sexually transmitted infections and who want to meet potential partners who have the same infections. Understandably, people who sign up to the site are keen to keep their situation confidential and don’t want their details made public. Unfortunately for some of the members of the site their images and certain information were made public by Successful Match, the company that ran PositiveSingles.com. The end result was that some of these individuals took the company to court claiming that they were misled about their privacy when they joined the site and a jury has just ordered the dating company to pay $1.5m in compensation and $15m in damages to one particular individual. So in summary, from a business point of view the company was pretty good at segmentation techniques but not very good about maintaining privacy policies. And whilst the one gentleman that complained about his details being released was no doubt very upset, hopefully the $16.5m he received as a result of the breech of confidentiality is making it easier for him to find a girlfriend and in fact he may well be switching from the positivesingles.com site to the meetingmillionaires.com site. https://www.theexpgroup.com/wp-content/uploads/2018/06/styleguide-EXP-4.png 0 0 Steve Crossman https://www.theexpgroup.com/wp-content/uploads/2018/06/styleguide-EXP-4.png Steve Crossman2014-11-17 13:57:312014-11-17 13:57:31Will you meet your future partner at a segmentation event? Who needs champagne for a celebration? Gin and tonic is a drink that has caused a number of hangovers over the years but for two individuals it is going to make them very wealthy. Gin is often credited with being a traditional English drink but the first recorded date for the production of gin was actually in the Netherlands in the 17th Century. One of the key ingredients of tonic water is quinine. Quinine is said to have many medicinal purposes and was first discovered by local tribes in Peru and Bolivia. Some people claim that quinine has medicinal purposes which helps various ailments including malaria. The bringing together of gin and tonic happened in the early 1800s when British army officers in India were using quinine in an anti-malarial capacity and decided to hide the bitter quinine taste by mixing it with tonic water and then hiding the taste even further by adding gin. The drink “gin and tonic” then came into existence. Fast forward to 2005 and the company Fever Tree which was set up by Charles Rolls and Tim Warrillow produced their first bottle of upmarket tonic water. Fever Tree tonic water has been selling very well since then and the company is now being quoted on the AIM (AIM is the Alternative Investment Market which is a sub-market of the London Stock Exchange and allows smaller companies to float shares with a more flexible regulatory system than is applicable to the main market). The Fever Tree company has been valued at £154 million. That’s not a bad valuation for a company that’s selling tonic water. There will no doubt be happy faces at the company and the success of the flotation will be toasted by a glass or two of champagne. Or should that be a glass or two of gin and tonics? https://www.theexpgroup.com/wp-content/uploads/2018/06/styleguide-EXP-4.png 0 0 Steve Crossman https://www.theexpgroup.com/wp-content/uploads/2018/06/styleguide-EXP-4.png Steve Crossman2014-11-14 14:37:132014-11-14 14:37:13Who needs champagne for a celebration? This idea by Levis is certainly a good fit. The first pair of blue jeans to be made in the world were made by Levi Strauss in 1873. Since then, the company Levi Strauss has gone on to sell millions of pairs of jeans and their turnover last year was $4.6 billion. Interestingly the shares of the company are not publicly traded as the company is a private company owned by the descendants of the family of Levi Strauss. As well as being a company with an 141 year history it is also leading the way in terms of the ethical treatment of its suppliers. It has recently announced that it will start offering low-cost working capital to its suppliers who meet certain environmental, labour and safety standards. It was announced that the company will provide loans with progressively lower interest rates to those of its 550 suppliers who perform well in terms of their environmental and safety standards. This is an admirable move by the company. Their suppliers are often from developing markets such as Bangladesh and to encourage their suppliers to adhere to better ethical conditions they will provide loans to them at interest rates that get lower the better the suppliers perform in terms of their environmental and safety standards. A great idea and will we see other companies introducing similar schemes to encourage ethical approaches to their supply chain? https://www.theexpgroup.com/wp-content/uploads/2018/06/styleguide-EXP-4.png 0 0 Steve Crossman https://www.theexpgroup.com/wp-content/uploads/2018/06/styleguide-EXP-4.png Steve Crossman2014-11-11 15:01:212014-11-11 15:01:21This idea by Levis is certainly a good fit. Passing professional exams is a tough exercise. You’ll only pass them if you work hard and put in the hours of studying that are required. Occasionally people will no doubt try to cheat and maybe try to grab a quick glance over at the person next to them to see what they are writing. The advice is simple. Don’t do it and instead focus on preparing properly in the first place. Ok, speech over with and now let’s look at the husband of Finland’s president who if I’m honest would be rubbish at trying to sneak a look at the answers of the person next to him. Mr Arajarv is married to the President of Finland and together with his wife was recently attending an official function where he was sat next to Princess Mary of Denmark. Now frisky Mr Arajarv didn’t try to have a sneaky look at Princess Mary’s exam paper. No, he tried to look at something more… how can I say it… but more personal. Alas for Mr Arajarv his attempts to grab a quick look at Princess Mary’s “exam scripts” were spotted by the Princess and his attempts to look innocently at the ceiling afterwards are hilarious or pathetic depending on your point of view. Unfortunately for Mr Arajarv (but fortunately for all of us) his performance was caught on TV and can be seen below.